Melt 1 tbsp of butter in a pan. Add in the chopped onions & garlic and allow it to sweat. Add in the dried oregano, basil & chilli flakes & allow it to sweat. Add in the sliced mushroom & cook until nicely coloured. Add in the single cream & simmer to infuse as much flavour. Bring water to boil in a separate pan add in salt & cook the pasta until perfectly cooked. Finish the simmering cream with grated cheddar and allow to blend in.Hold some cheese back to finish. Note: Add the cheese when the cream is off the heat. Add in the drained pasta to the sauce & mix well until evenly coated. 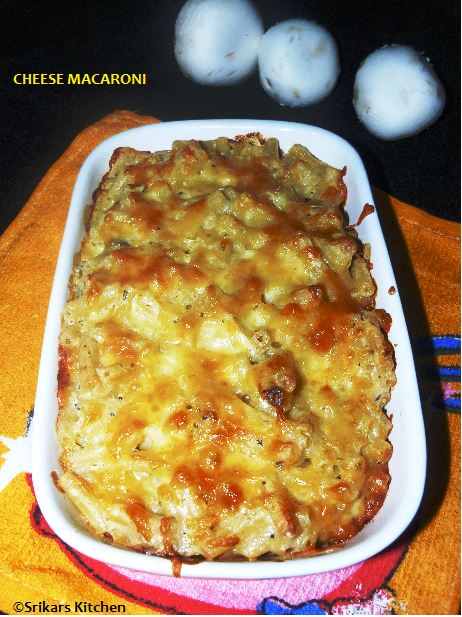 Pour the pasta mix in a baking dish & top with the remaining cheese & gratinate in an oven at 160 degree for 30 mins & Serve hot. wow very very well explained and mac n cheese looks super delicious dear :) tempts me !! 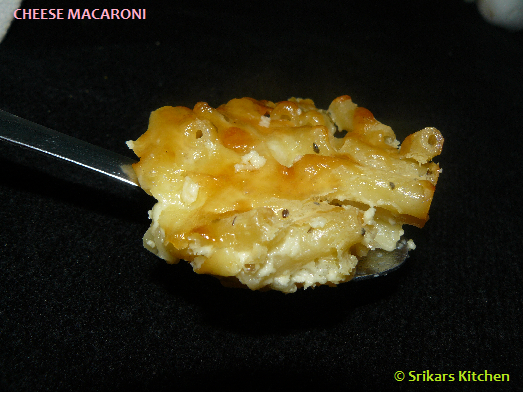 Simply awesome and lavishly prepared cheese with macaroni. Wonderfully prepared.